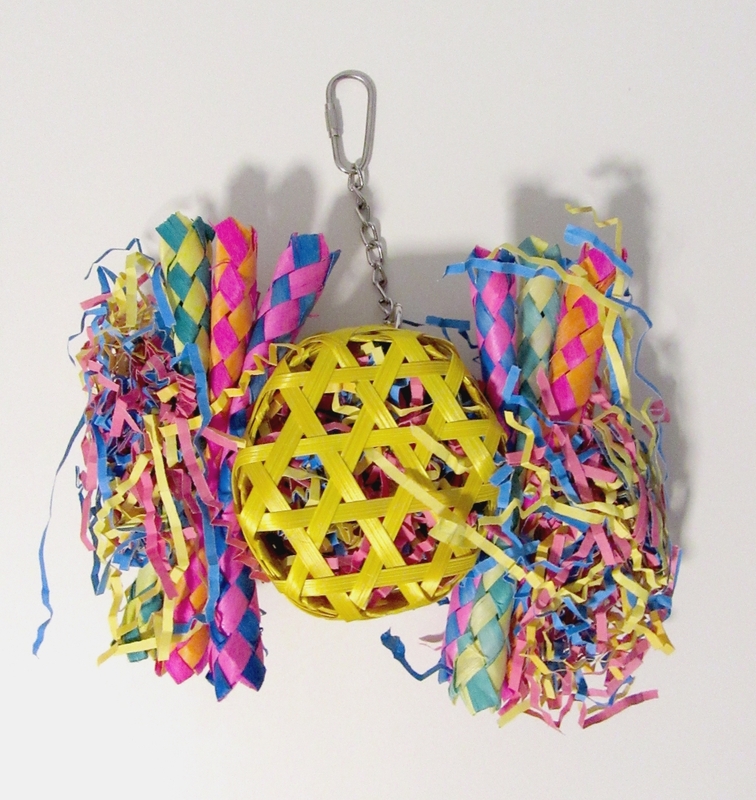 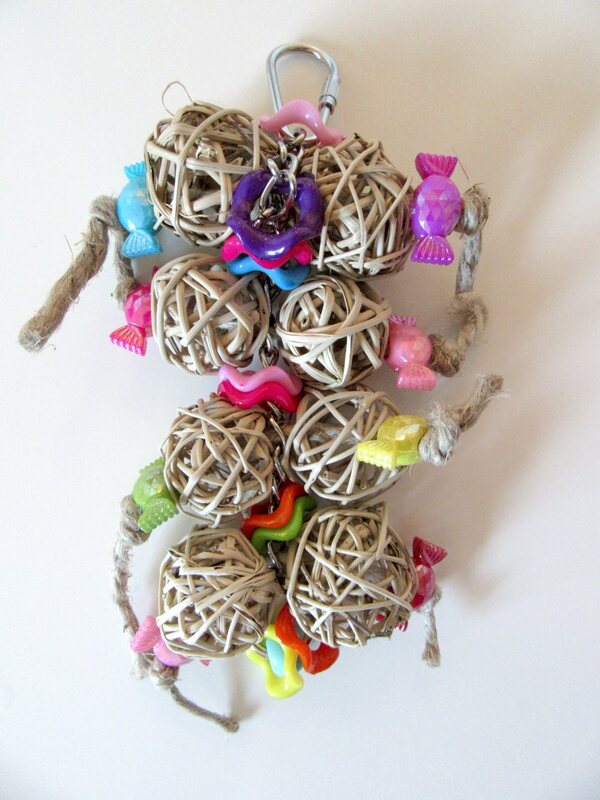 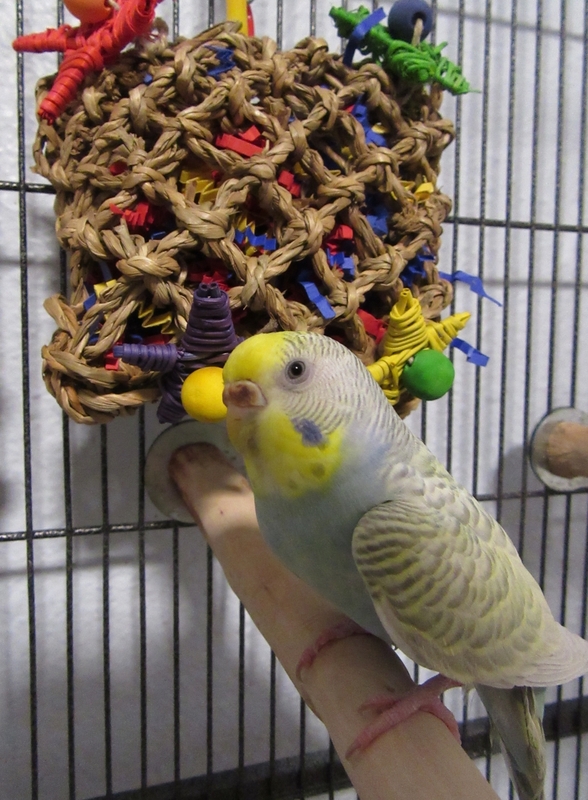 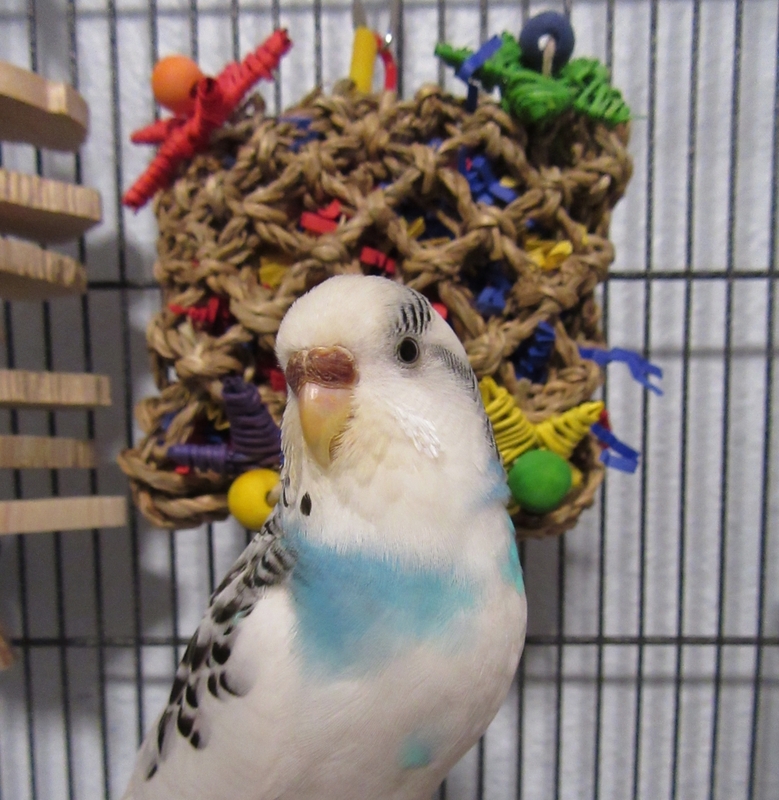 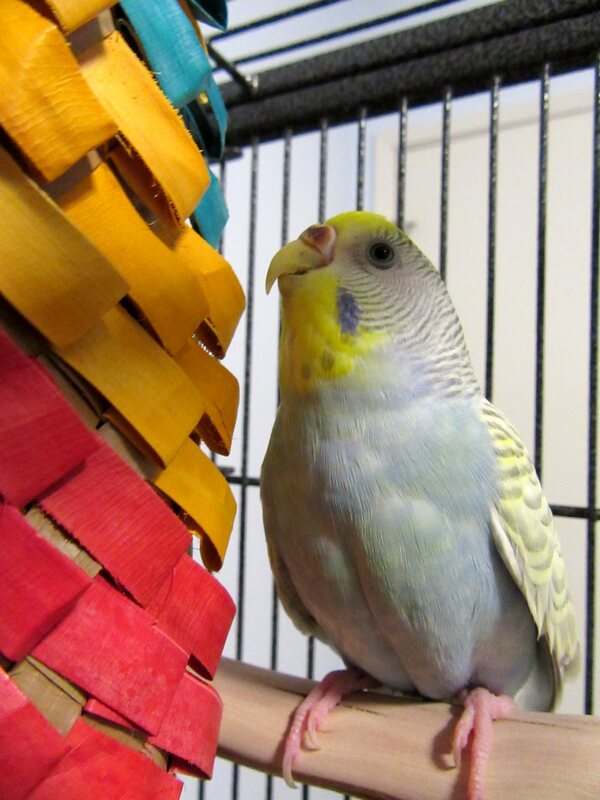 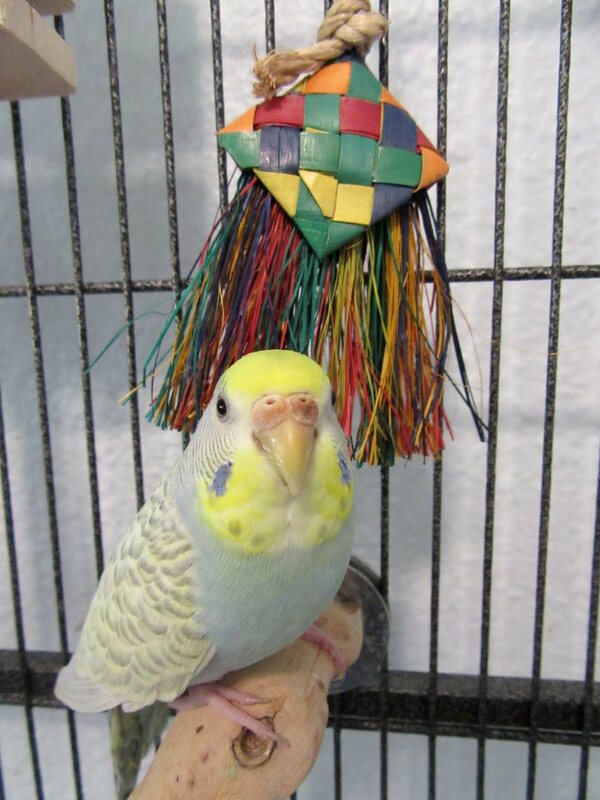 Posted on March 26, 2019 by Michelle M.
It’s the 1721 Round Basket Bird Toy from Bonka Bird Toys. 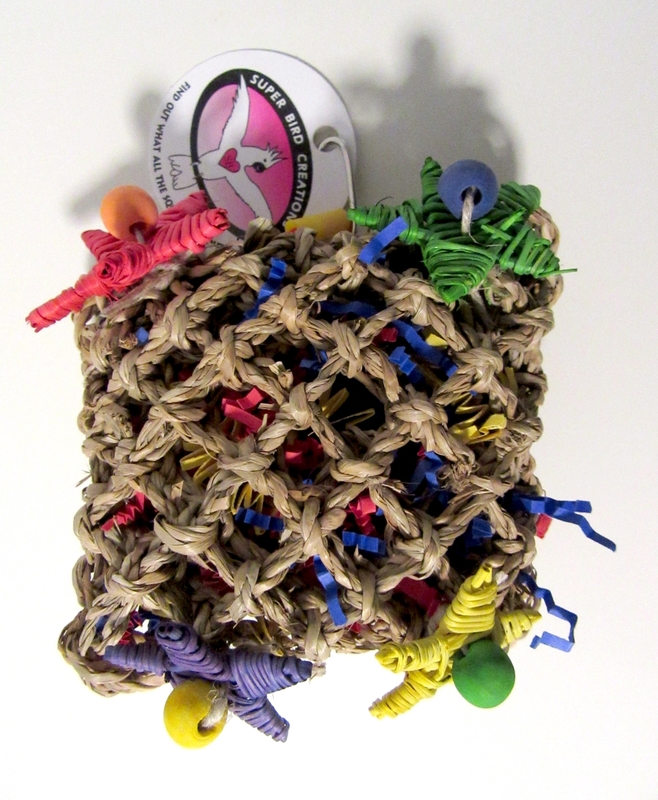 Posted on February 21, 2019 by Michelle M.
It’s the Pickin’ Pocket by Super Bird Creations. 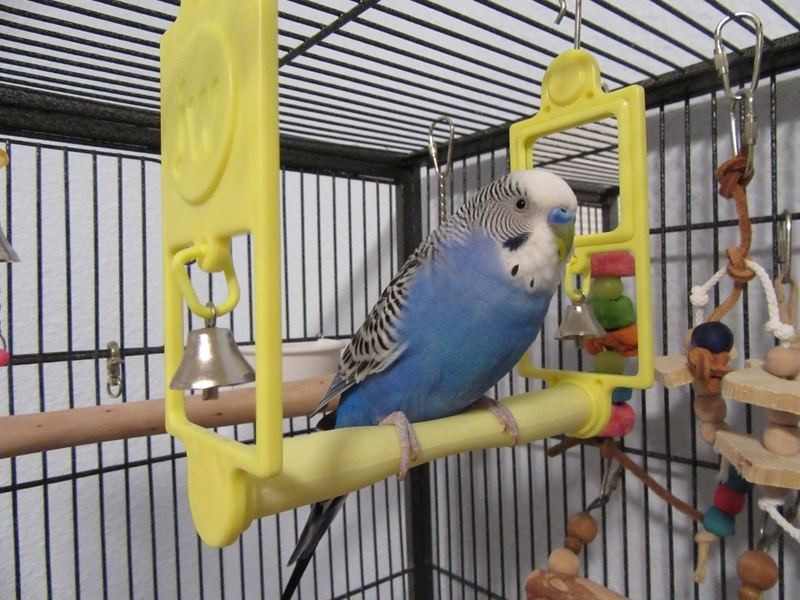 Posted on January 23, 2019 by Michelle M.
Here are Cooper and Ozzie enjoying the new swings that their friend Karon sent them. 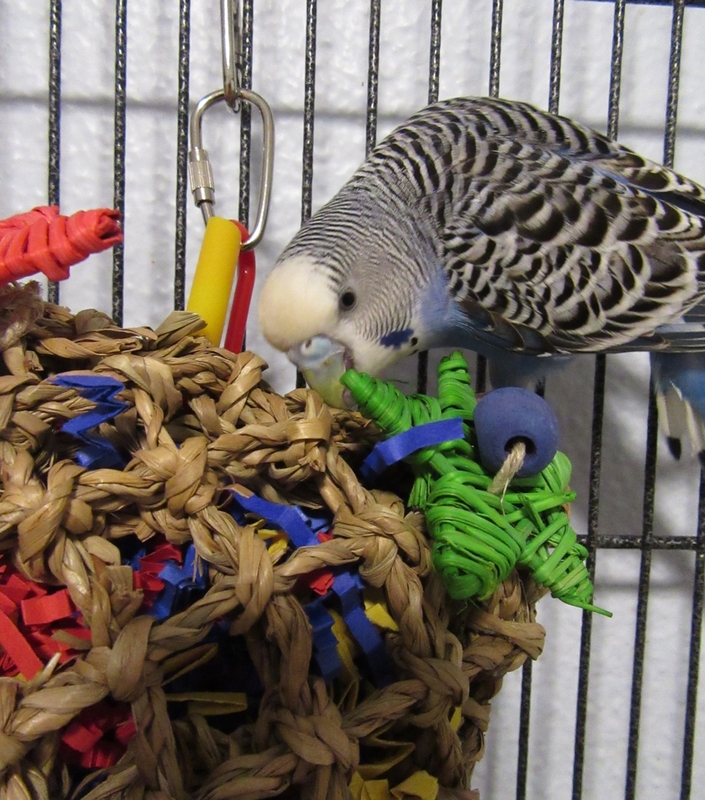 They have really been enjoying them – thank you so much Karon (and Holly and Ernie)! 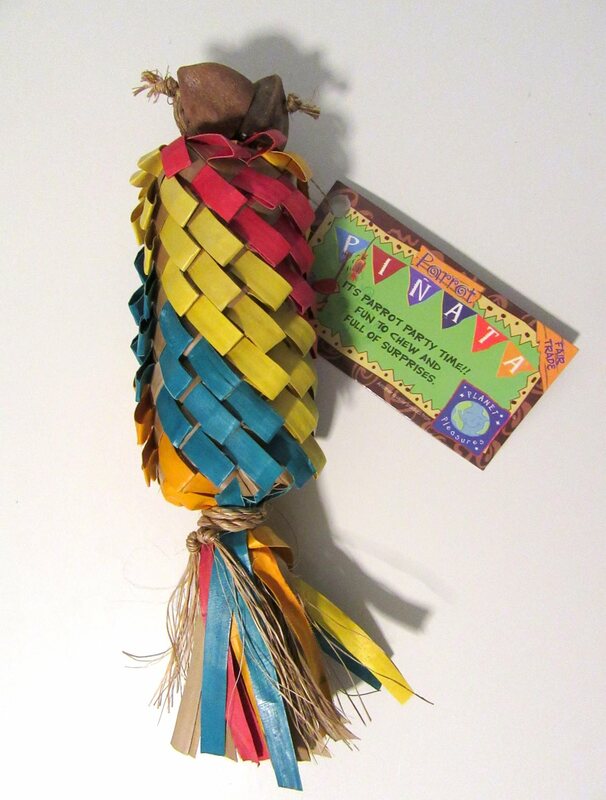 Posted on November 20, 2018 by Michelle M.
It’s the Rainbow Diagonal Pinata from Planet Pleasures. 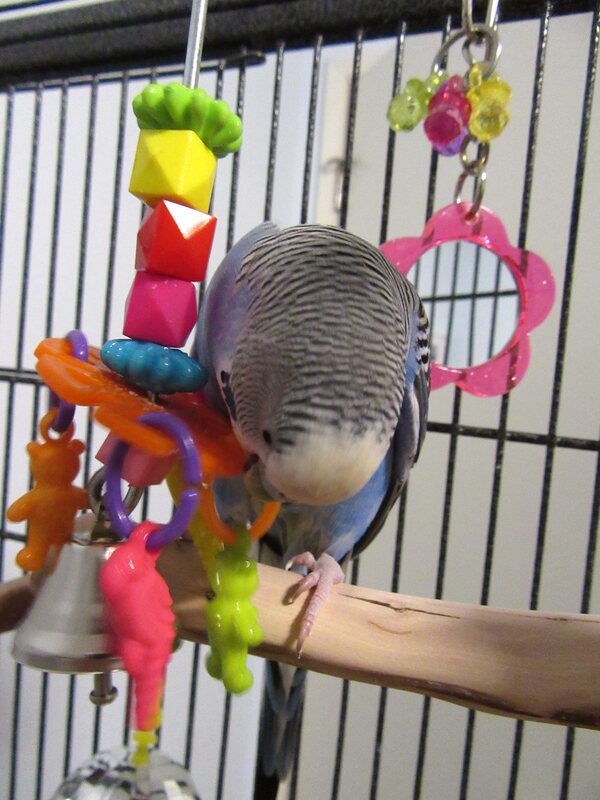 Sunny deciding where her first nibble should go. 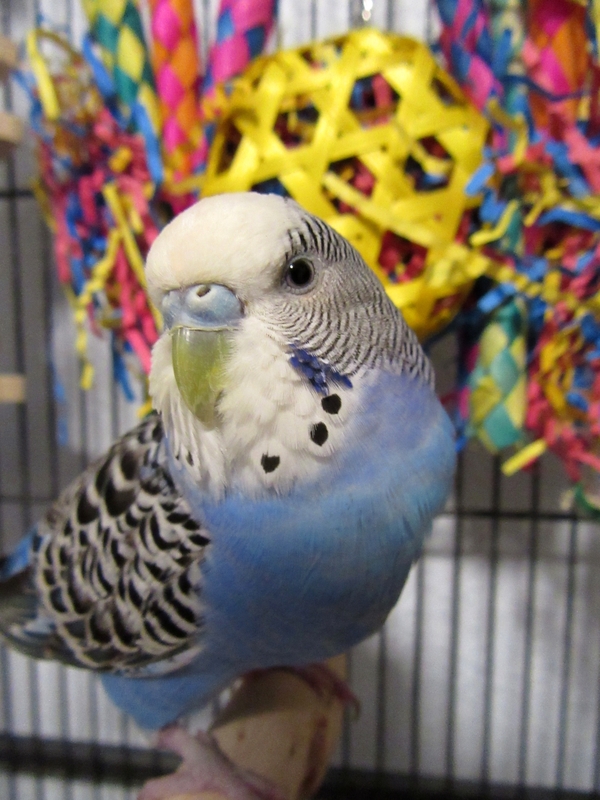 Cooper would like the camera out of her face. 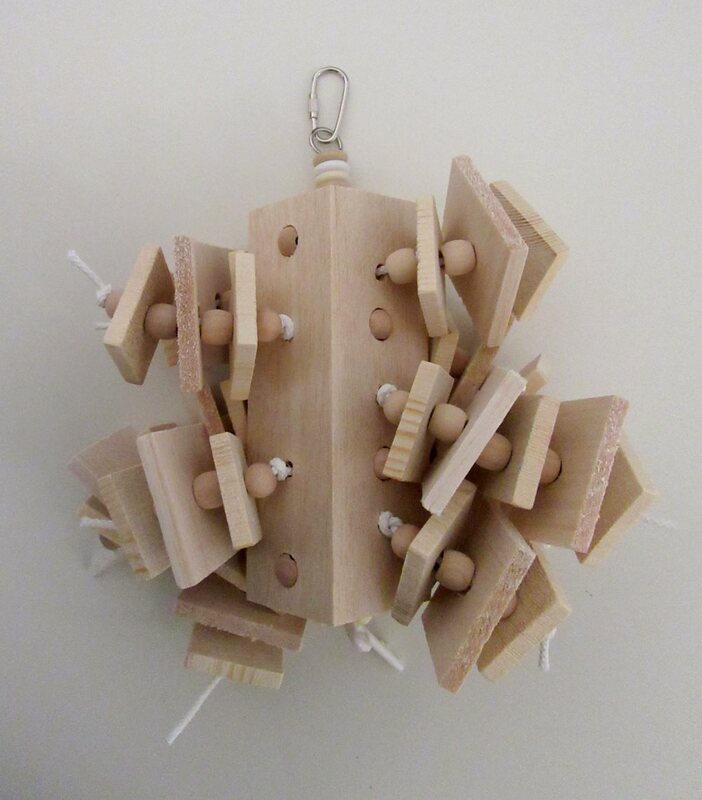 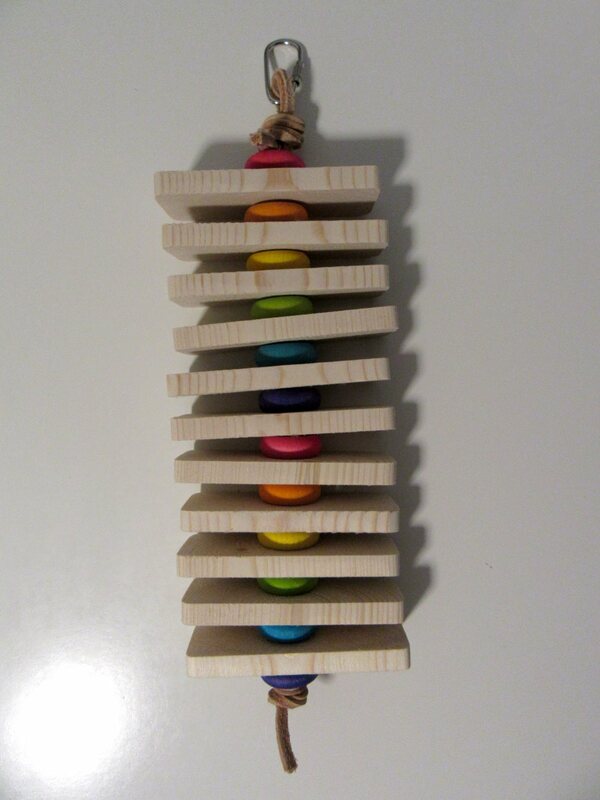 Posted on October 19, 2018 by Michelle M.
It’s the Happy Balsa bird toy from The Best Bird Toys (on Etsy). 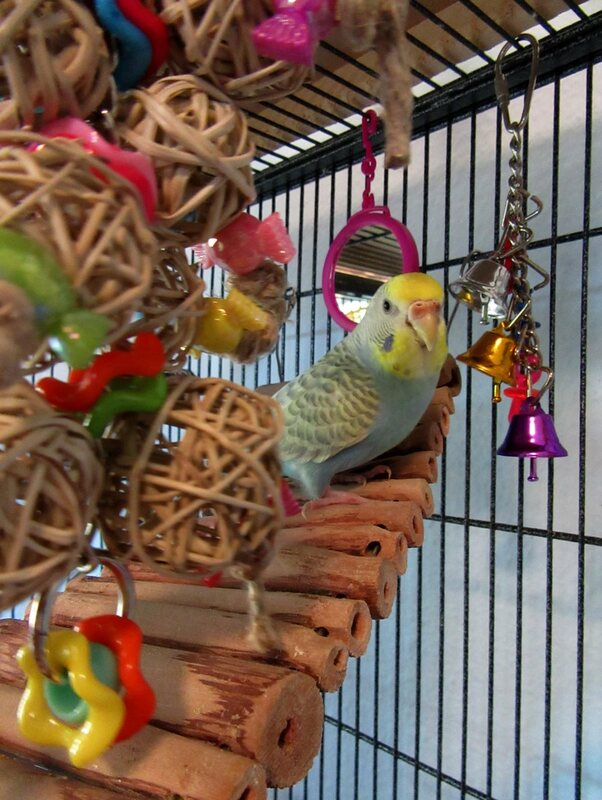 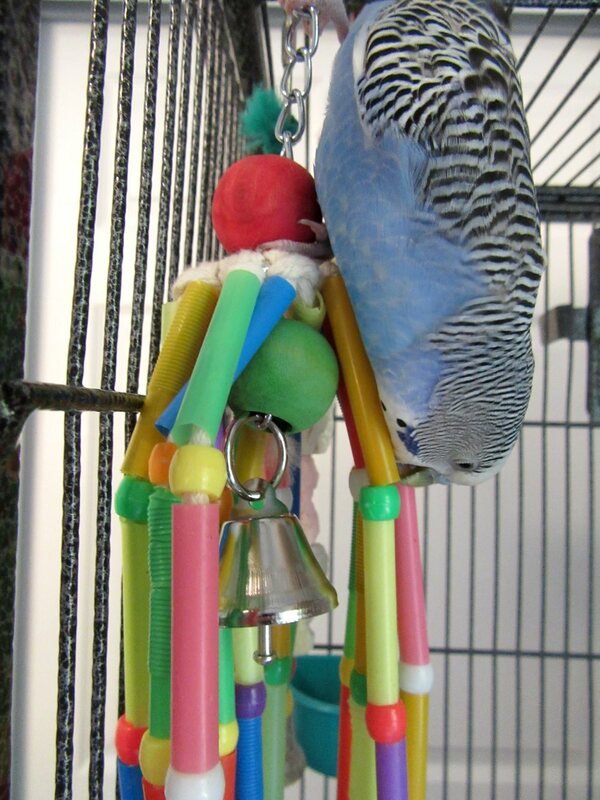 Posted on September 20, 2018 by Michelle M.
It’s the Bell Carousel by A Bird Toy! 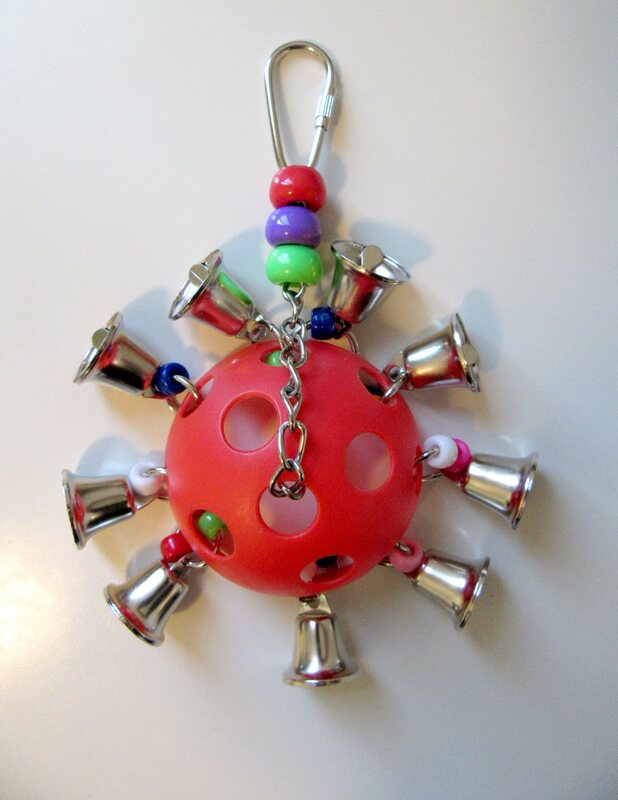 Ozzie says, “You can never have too many bells”. 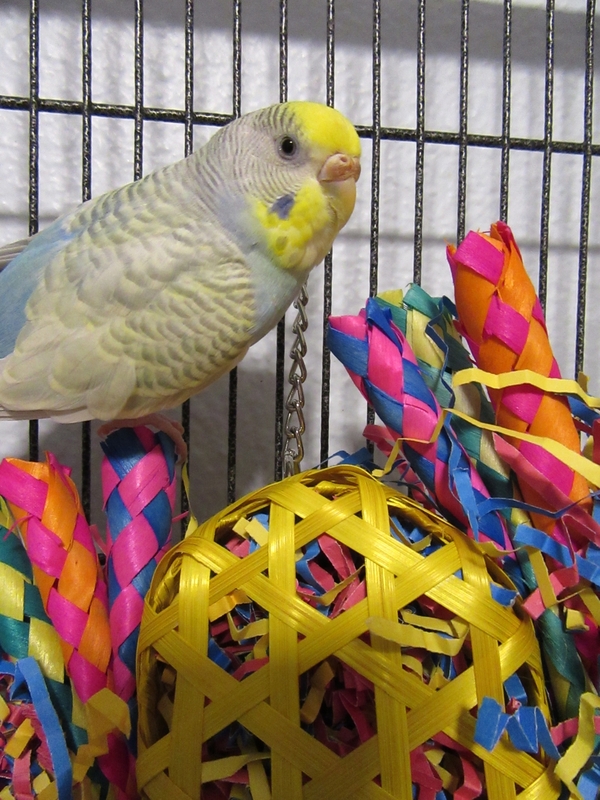 Posted on August 7, 2018 by Michelle M.
It’s the Vine and Candy from A Bird Toy. 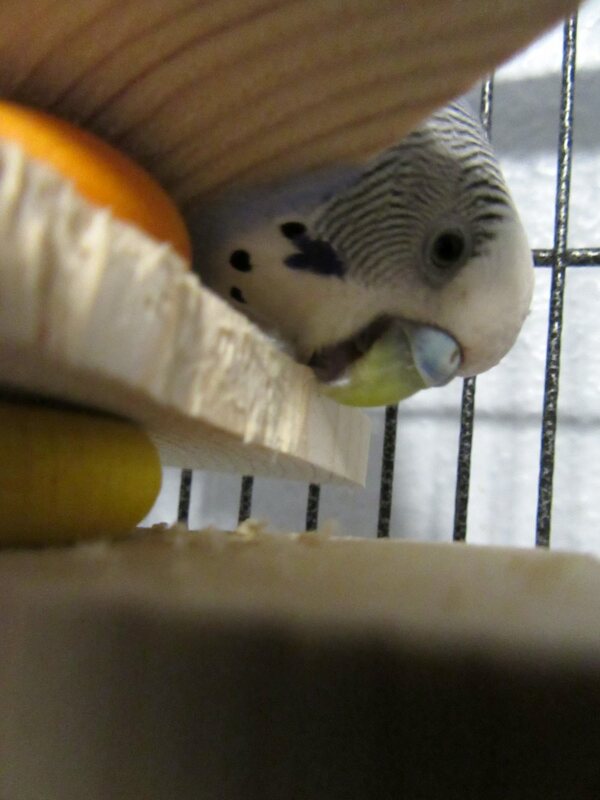 Gotta get that nibble on! 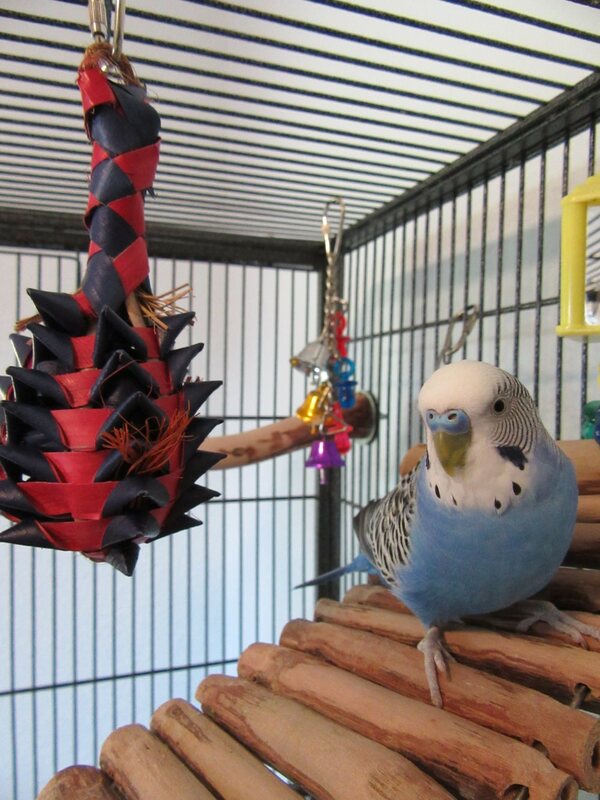 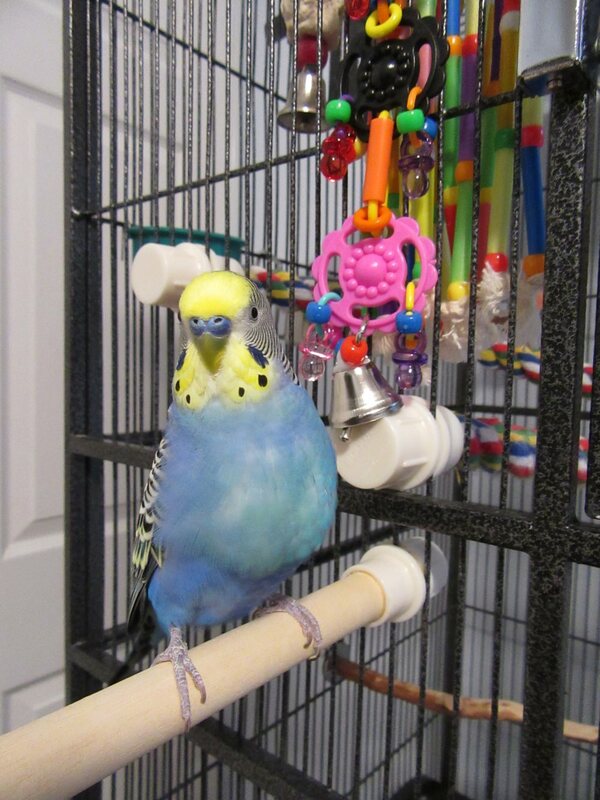 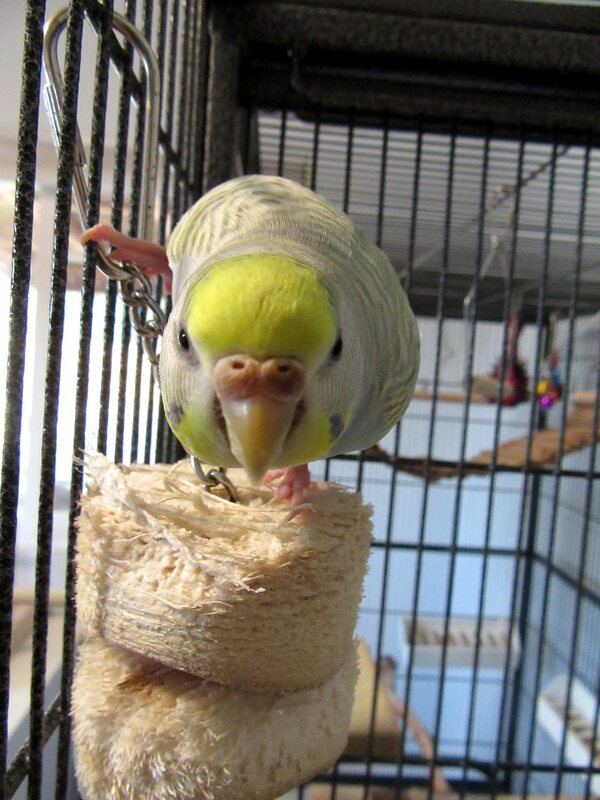 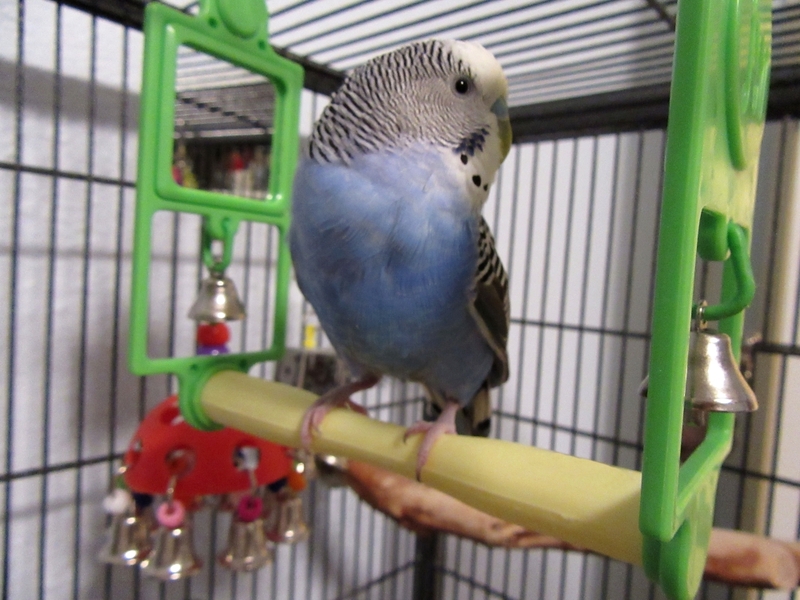 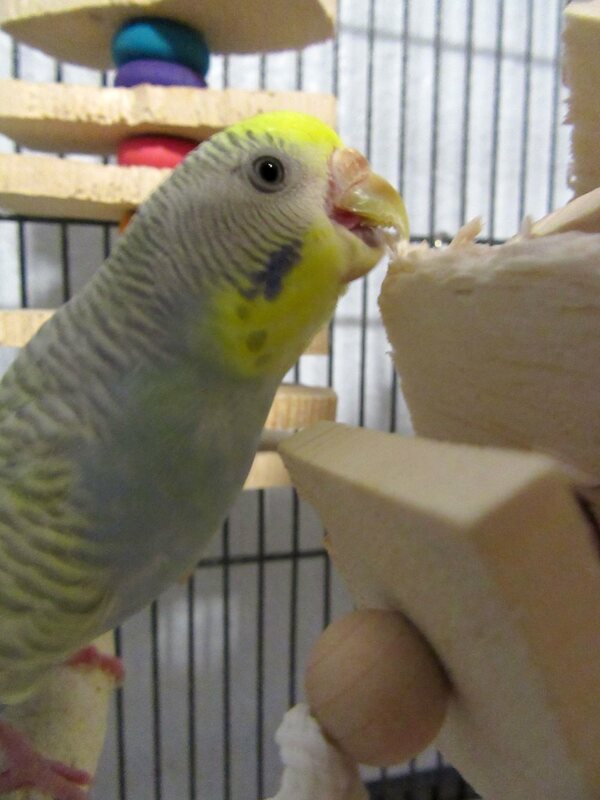 Posted on July 12, 2018 by Michelle M.
It’s the Chipper (Medium) from The Best Bird Toys on Etsy. 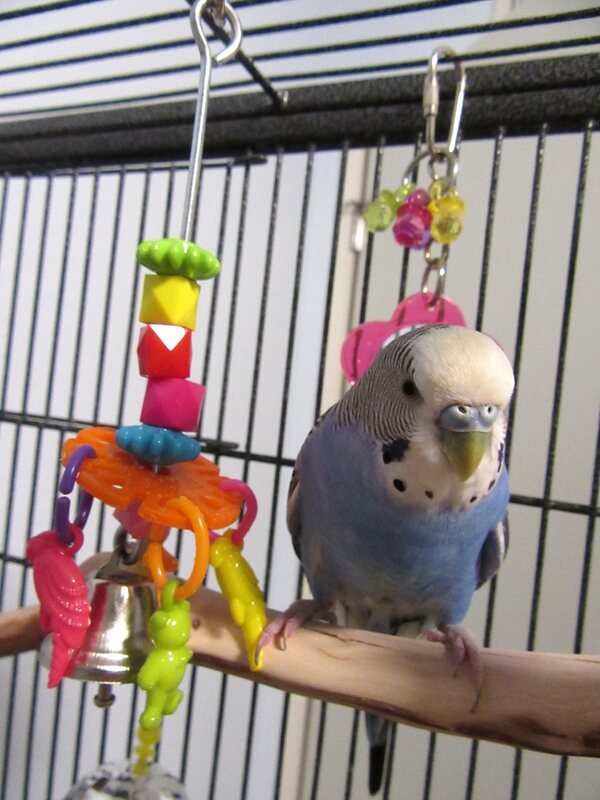 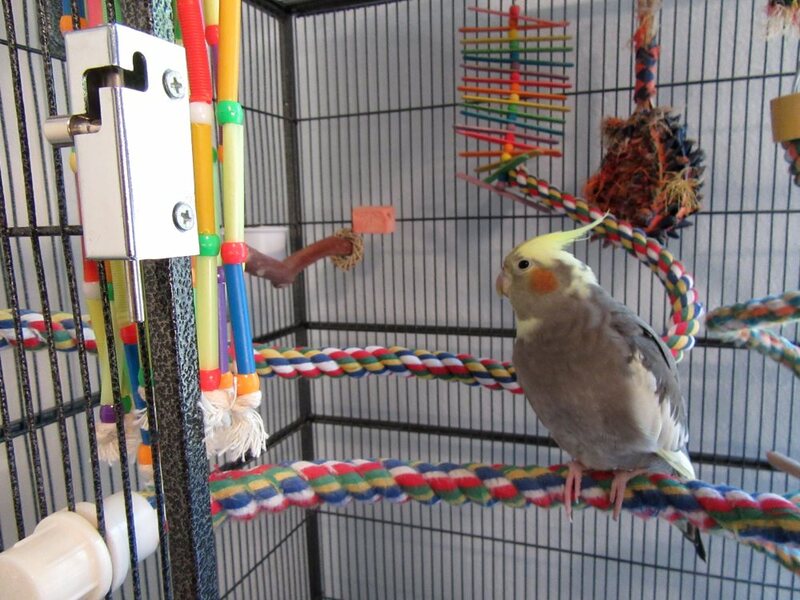 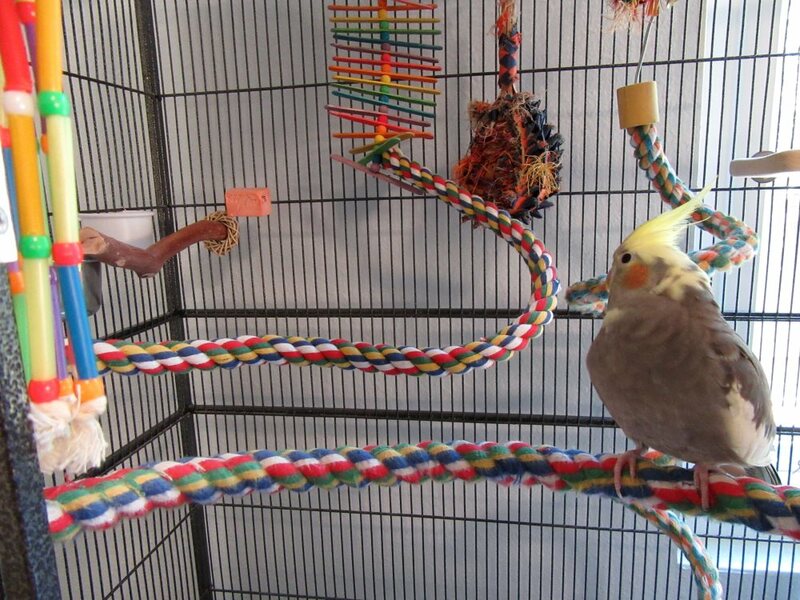 Cooper was on this toy as I was hanging it in the cage. 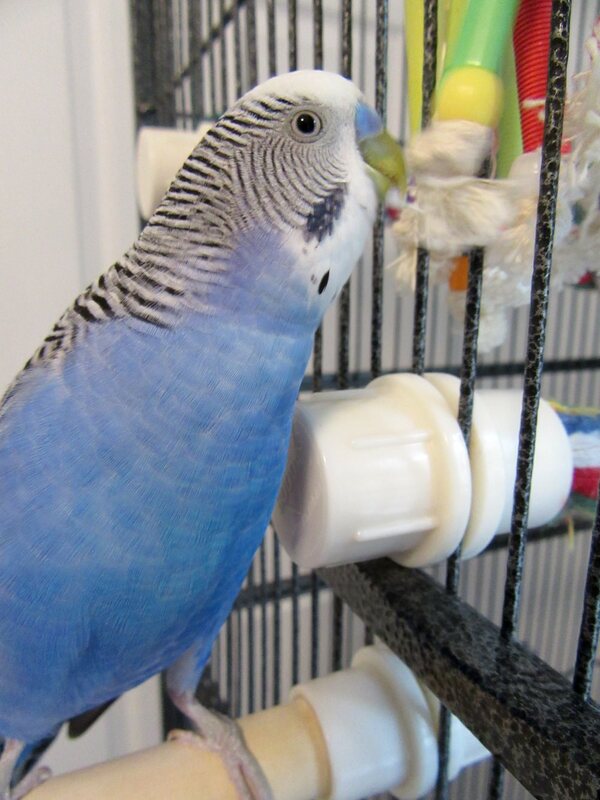 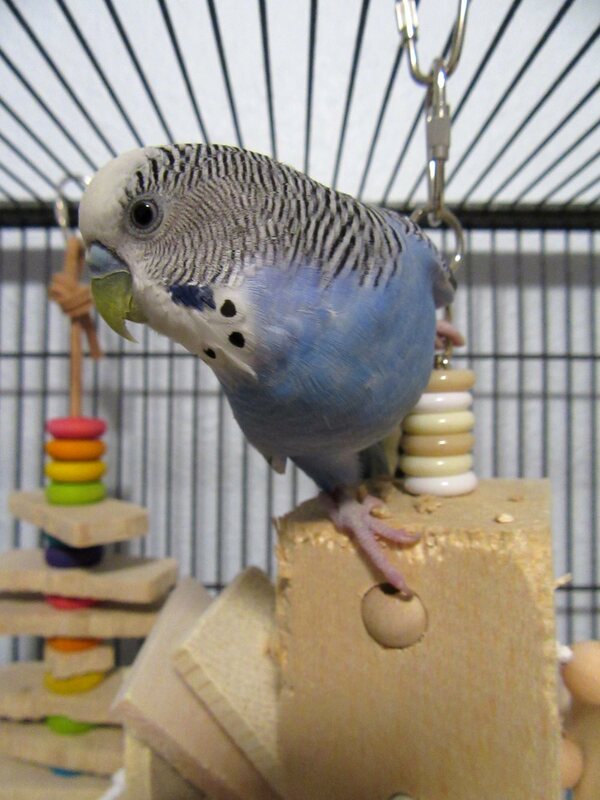 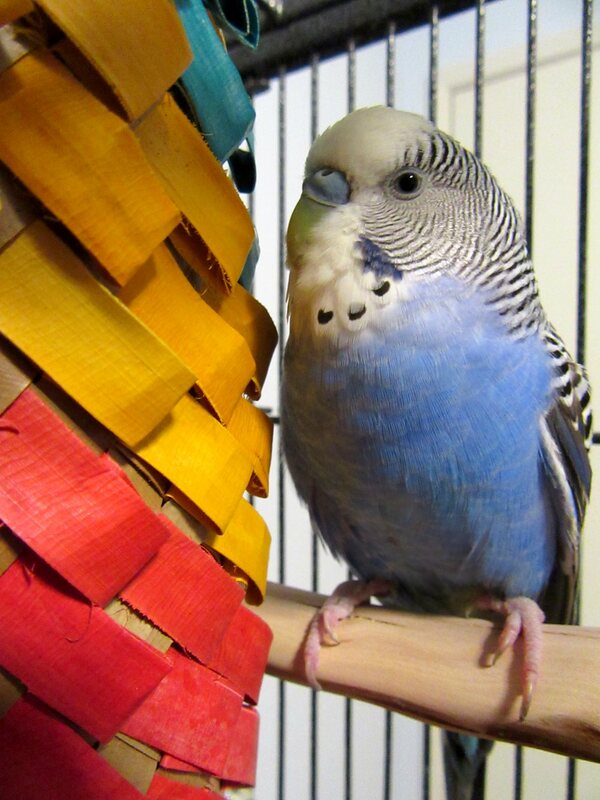 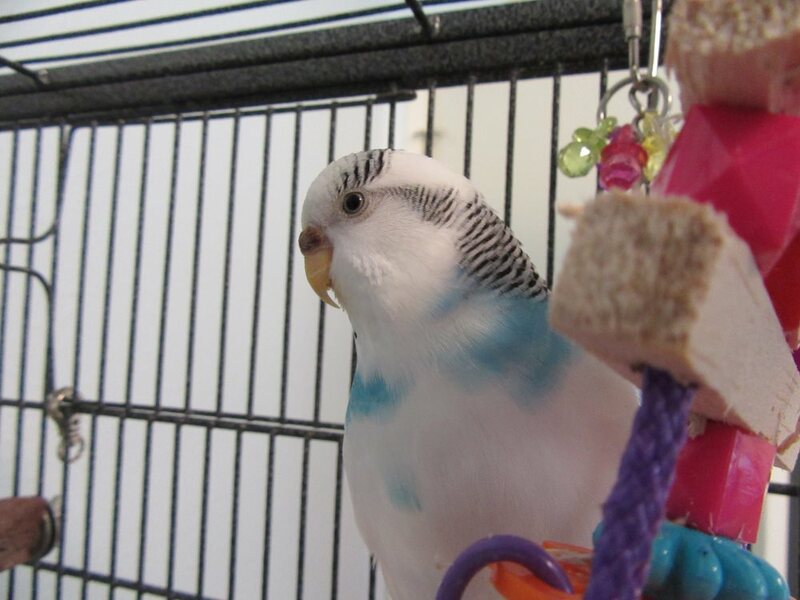 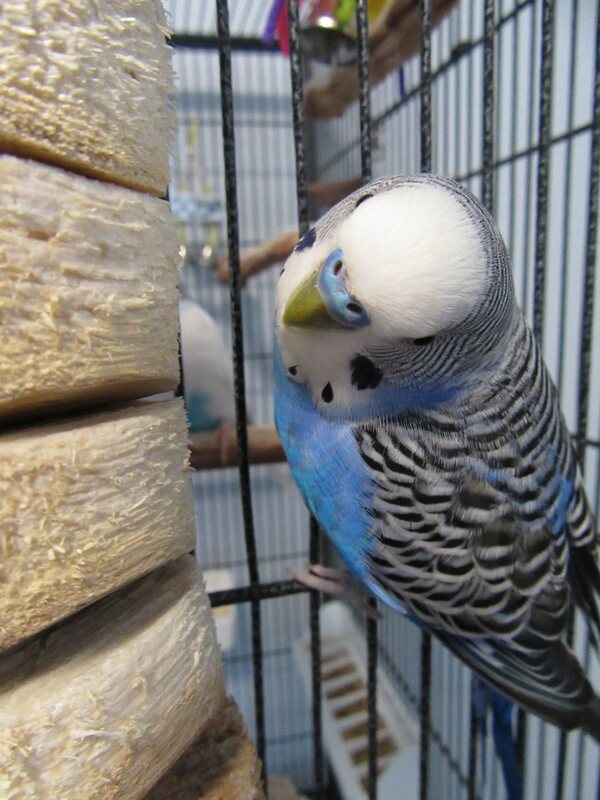 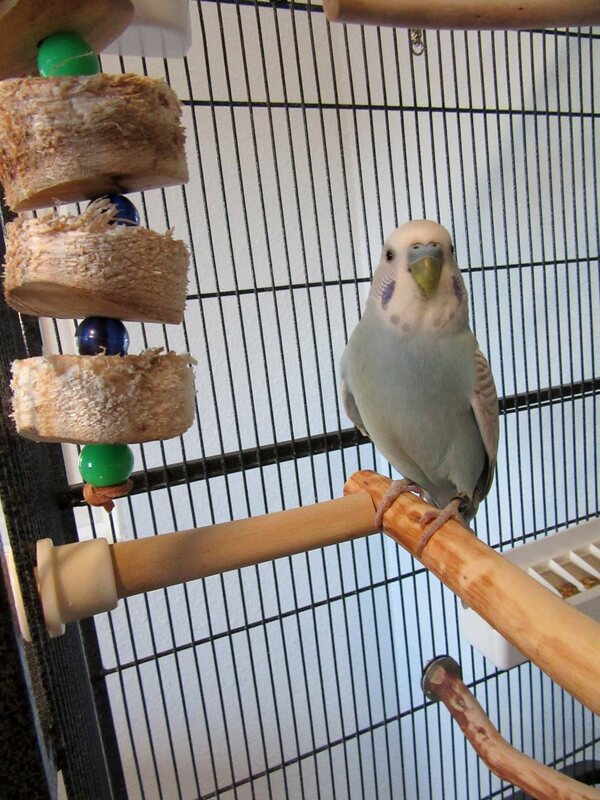 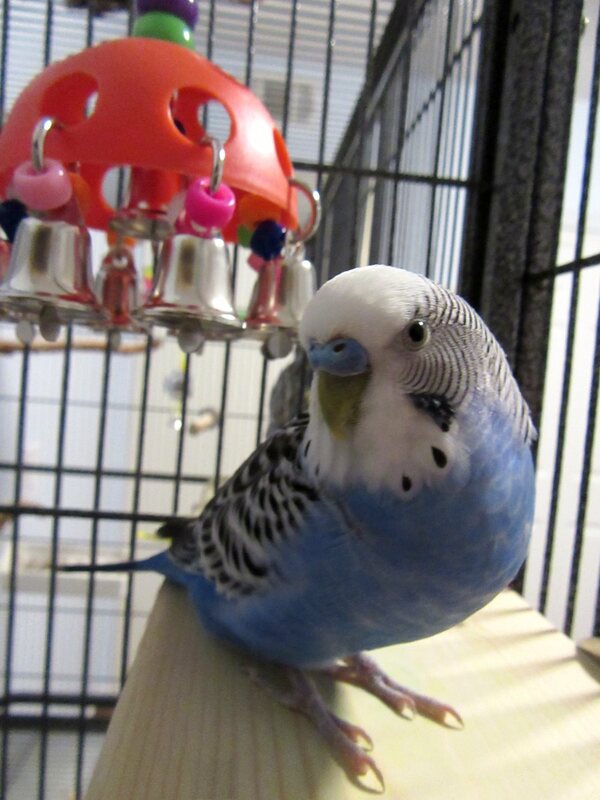 The other budgies soon followed. 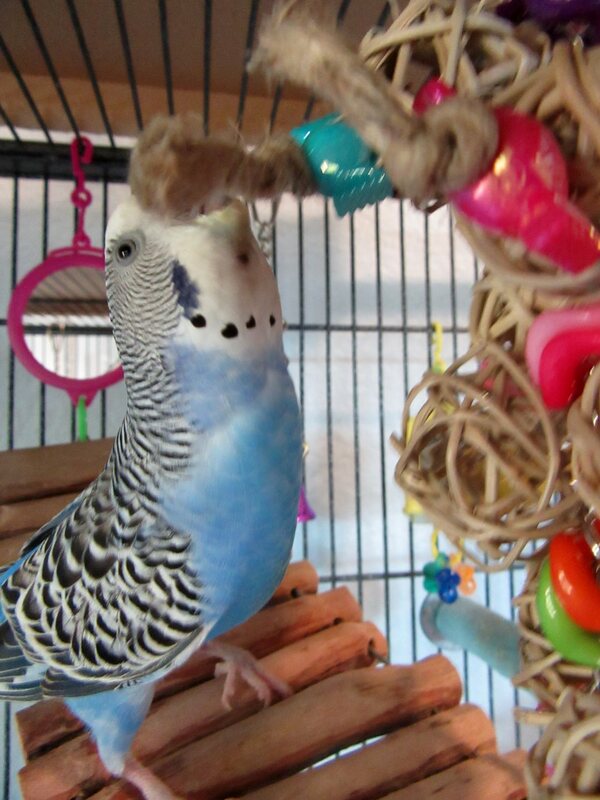 This toy is definitely a flock favorite.